BB-1X Bass Driver; a premium stompbox pedal designed by Boss to give your bass a punchier, bolder sound. Special Edition Bass Driver Combini..
BB-1X Bass Driver; a premium stompbox pedal designed by Boss to give your bass a punchier, bolder sound. Combining over 40 years of technical knowledge, pedal design innovation and cutting edge technology, this next generation Bass Driver X Series pedal delivers a new tonal experience that only Boss could bring you. When designing the X Series pedals, Boss wanted to deliver something truly special. To that end, an incredible amount of research and development was put in to creating the proprietary Boss MDP chip, allowing for Multi-Dimensional Processing. Multi-Dimensional Processing, or “MDP” for short, allows the pedal to analyse your performance and adapt its own output to your playing. The BB-1X is able to deliver a huge range of superior sounds ranging from natural clean tones to really heavy distortion. 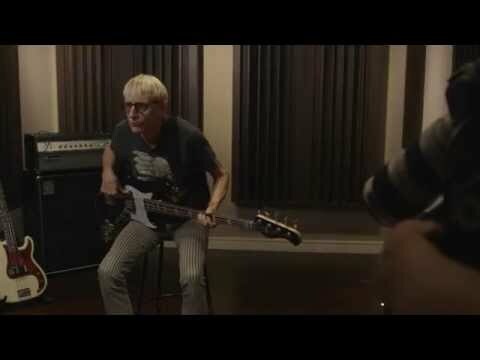 Adapting and responding to any register or playing style you can throw at it, the BB-1X maintains the body and core characteristics of your instrument’s tone and all the dynamics in the nuances of your performance while making the sound more full-bodied, punchier and providing a great distortion sound on demand. The combined input from the world’s greatest guitarists and the engineers at Boss has produced an incredibly musical, inspiring and exciting technology in the Boss X Series pedals. 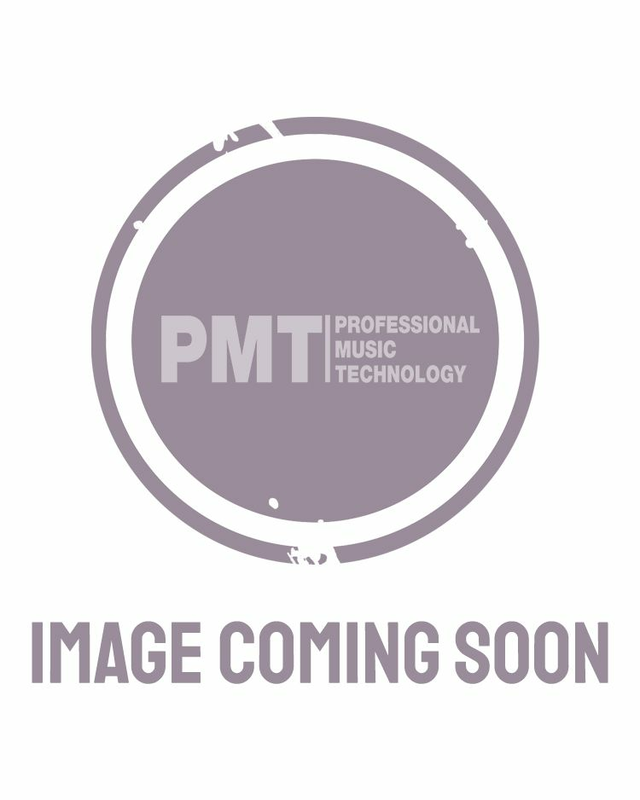 When designing the BB-1X, Boss consulted many of the world’s top bassists and professional PA engineers and, after taking on their feedback and suggestions, decided to enhance the Bass Driver’s Line Out. The BB-1X features a convenient balanced Line Out jack that functions as a DI when required but with extra enhancements. Rather than just boosting the low end which would result in an unbalanced band mix through the PA, the Line Out on the BB-1X has been specially tuned to ensure it provides a full spectrum of balanced sound so that it retains the body, punch and presence of your tone. When conventional bass pedals attempt to provide a punchy sound they often narrow down your frequency range making it sound unnatural while the low end is muffled in an attempt to achieve high-definition distortion tone. Increasing the distortion level on these pedals then decreases the dynamic response of your bass, limiting the expressiveness in the sound. Boss decided that they wanted to do things quite differently. 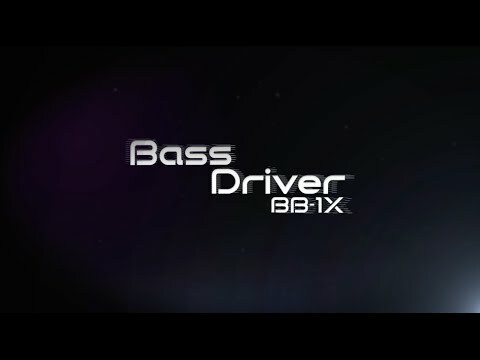 Advanced technology enables the BB-1X to analyse your bass signal from several dimensions at once, all in real time. A huge amount of processing is performed, taking into account the instrument’s own characteristics, the playing style, the dynamics, the phrasing and much more. This allows the BB-1X a huge range of potential when it comes to shaping and enhancing your sound without altering the core tone of your bass guitar and amp. The BB-1X delivers an incredibly dynamic response that combines solid low-end and beautifully natural sounding, high-definition distortion – perfect for expressive and nuanced performance. Other reviews talk about the full range that the BB-1X can do, and so I will keep to what I use it for: full drive. Overdrive and distortion steal low end from a bass. Not with this cutie; there's loads of low, even with the dry/wet blend on full wet and played through my Fly 3 Bass. I set the BB-1X tone to 12 o'clock on the low and 11 o'clock on the high. In my rehearsal studio and on their 4x10, I set the tone to 12 o'clock on both and full wet blend. There is no loss of bottom end. Playing softly gives the same distortion and level as playing hard. The difference is in how full the sound is. The harder I play, the more sound there is. Accenting brings out more treble. The balanced line out is louder then the unbalanced output. Most reviewers talk about the line out and how it's a TRS (stereo jack) instead of the standard XLR. The Boss TU2 and TU3 tuners have two output jacks in the same layout as on the BB-1X. I see that as the answer, as it means the same mould and finishing for all of them. TRS adaptors don't cost much, and the rehearsal room owner gave me two TRS-XLRs that he had no need for. One ends in a male and the other, a female, if your wondering why I took both. The female one plugs into my passive DI box to let me run two amps, one for the low end and one for the high. 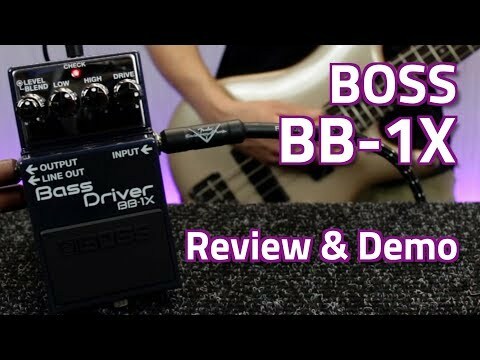 My guitarist and I wanted to fill out our sound whilst keeping to a three-way band and found that the Boss ODB-3 bass overdrive did it well enough, as long as the drive and blend were at 10-11 o'clock. Above that, it was too fizzy. I read and listened to reviews on the BB-1X before going to a shop to try it for myself. My bass-playing son came with me for a second opinion. I walked in with the ODB-3 and left with the BB-1X. My guitarist agrees that I made the right call. It fills in the gap between my bass and his lead. The sound is full enough that it could maybe work without a guitar nor anything else on top. He said of my active bass going through the BB ‘It growls’. The BB-1X is a worthwhile upgrade from the ODB-3. Some players deal with the loss of low end on dirty bass by running two amps from one bass, one clean and one dirty. The BB-1X is handier and cheaper; I bought mine from PMT for £134.